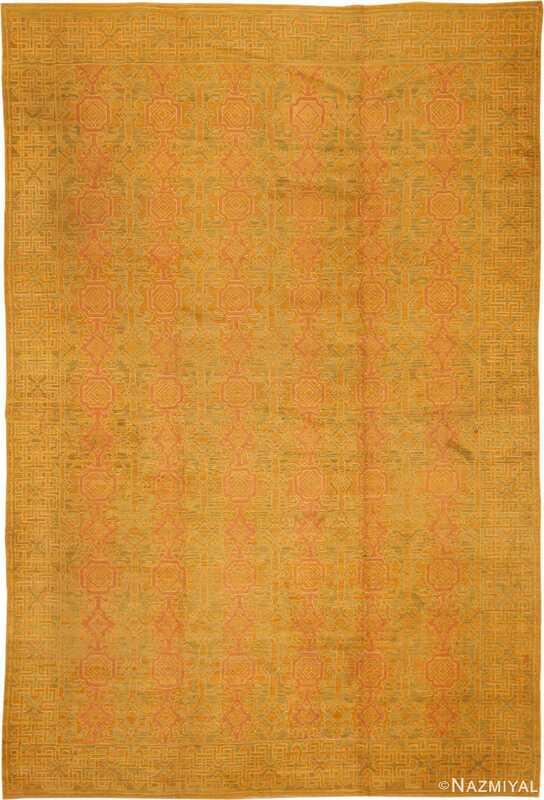 Antique Spanish Runner Rug, Country of Origin: Spain, Circa Date: First Quarter of the 20th century (Around 1920) – This lengthy Spanish runner rug in the hues of antique gold and bronze features a geometric design that repeats down the body. Forming two columns, brown braces form a square around four-sided grey figures, diamonds nestling in the center of each on this antique rug. These columns are softened and linked by rows of alternating diamond, each with small, artistic appendages that reach out toward each other. Narrow lines of light yellow edge every figure across the length as well as creating a tiny border which anchors the interior. 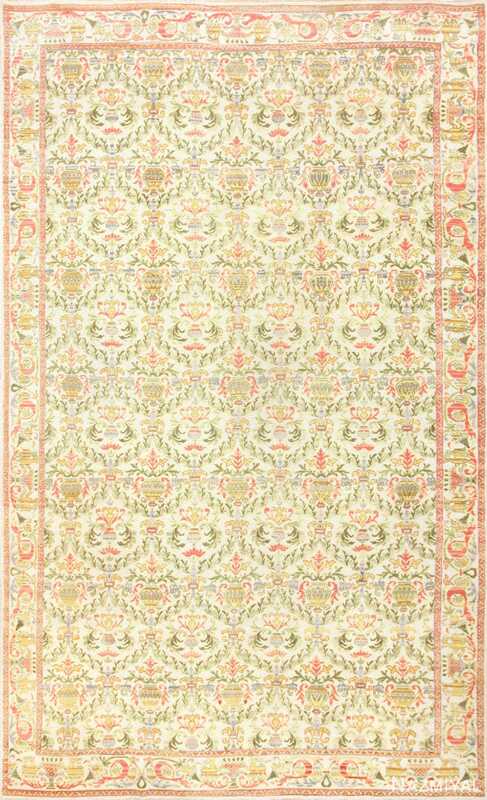 A gently faded effect that seems to meld with the pattern gives the piece its vintage appearance.